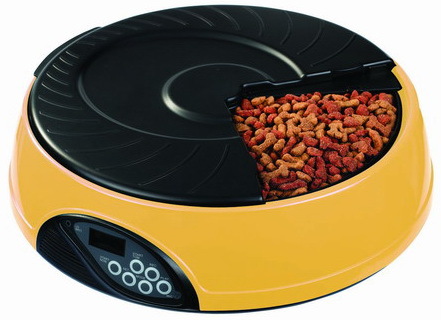 This product can store 4 meals for the pet. Recommended for pet lovers who's working and have no choice but to leave the pet at home for the whole day. 1. Your Automatic Pet Feeder can be programmed to open 4 different times. At each meal time, the cover will open for the first feeding and your prerecorded voice message will be played to let your pet know it's time to eat. 2. The dish, which contains four large food trays, will remain open until the next programmed feeding time. 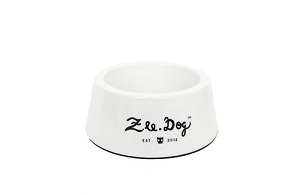 At the preset time, the dish will cycle to the next full food tray, allowing your pet to eat at their own pace. 3. An easy way to program your pet's meals while at home or away.